The bright and fresh character of this simple but enjoyable white has made it a go-to entertaining wine for years. 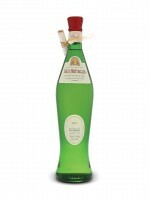 It’s distinctive bottle shape makes it easy to spot on the liquor store shelves, which no doubt helps to spur sales. There’s nice balance and refreshing character here that make it an obvious match for poultry, fish or seafood dishes.